I was recently invited by two wonderful authors, Deb Mangault and Jackie Madden Haugh to post a blog in a virtual tour featuring authors. We all like to get “up close and personal” with our favorite authors, learning more about them and why they do what they do. This blog is a part of a virtual blog tour that is giving us the opportunity to do just that with people we know, and introducing us to people we would like to know. I met Deb at the South Carolina Book Festival two years ago. Deb and I are both fortunate to have the Where Writer’s Win team of Shari Stauch and Kendra Haskins design our author websites. We were on a panel at the festival that featured some of the authors who work with the Where Writer’s Win team. We had a great time! 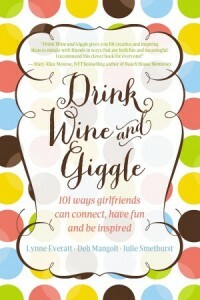 Deb co-authored a girlfriend oriented platform book called Drink Wine and Giggle. I have an author signed copy! 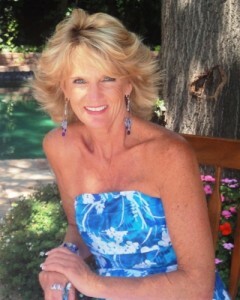 As an Event Planner and Certified Professional Coach, Deb brings her positive attitude and bubbly personality to turn family reunions, corporate events and women’s retreats into memorable and intoxicating experiences that demonstrate the power of true compassion. 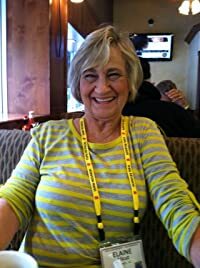 I met Jackie this past spring at the PubSmart Conference in Charleston, SC. The conference designed to educate writers about publishing options was set up by guess who? Yes, the Where Writer’s Win team. Shari Stauch, Kendra Haskins and the rest of the team have deepened my knowledge of author marketing and the publishing industry. Over a breakfast of shrimp and grits,(simply marvelous!) Jackie and I talked about our writing and the publishing business with my publisher, Terri Leidich, of Boutique of Quality Books. 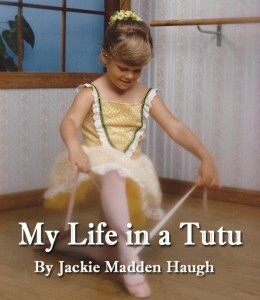 Jackie is now a Boutique of Quality Books author with her soon to be released memoir, My Life in a Tutu! A true native of California. Born in San Francisco, on December 31, 1952, to the son of Irish, Catholic immigrants, who fled the potato famine in the late 1800′s, and the daughter of silent movie actors, circa 1915 in Hollywood. Sandwiched between three boisterous brothers, life for Jackie in her youth was anything but calm and trying to have a voice amidst the rampant testosterone and alpha-male posturing was an impossible feat for her. As a part of the tour I am required to answer several questions. I’m writing the sequel to my first novel,The Cast Net. The book will follow the redemption of a seriously flawed character, Jeff Radcliffe. He learns a heart breaking lesson about love and relationships in this follow-up novel set in several locations across the globe. Cooper Heath and Mills Taylor Heath, the hero and heroine of The Cast Net will also return! I do a great deal of historical research about an area and the people who live there,(or have lived there,) before I write. I like to intertwine my story line with historical facts. Sometimes, I create fictitious accounts in my novels, but still based on actual people or places. For instance, the setting for The Cast Net is a small community, Alston Station, on the Edisto River near Charleston, SC. There really isn’t an Alston Station, but there should be! The town is named after Joseph Alston, a former governor of South Carolina, who was married to Theodosia Burr Alston. (She was the daughter of Aaron Burr. You may recall he shot Alexander Hamilton in a duel.) Theodosia disappeared on a voyage from Georgetown, SC, to New York. Theodosia’s fate is compared to that of a character in The Cast Net, Elise Heath. I enjoy mystery / suspense stories with a twist. I’m a huge fan of Alfred Hitchcock who was the master of suspense movies. As a child, I believe my interests were shaped by several exciting stories, Caroline and her Friends, The Box Car Children, and The Adventures of Jonny Quest. All three of these children’s classics deal with young people who are daring, take risks, and handle situations that are often dangerous. The heroes and heroines bravely take on responsibilities that most people would run from. I’m certain that The Adventures of Jonny Quest influenced me to become an airline pilot and travel many parts of the world. I had the idea for The Cast Net in my head for many years before I actually sat down and wrote the novel. When I finally had time to write the book, I researched the location I was writing about. For The Cast Net, which is set in the Charleston and Edisto areas of South Carolina, I read at least twenty-five history books to make sure I got the details correct. While I was doing the research for The Cast Net, I came up with the idea for Catherine’s Cross which I wrote in less than a year. Knowing the history of an area, gives me ideas for my stories and helps with character creation and development. I like to intertwine actual history with fiction I create. 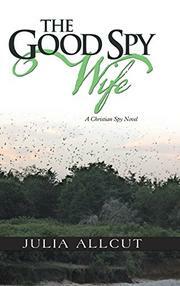 The Good Spy Wife is a story of aging FBI agent, Gunter Martini, as told by his wife, Bootsie. The saga begins with her suspicions that the next-door neighbor, Alexander, is a Russian agent. The reader is drawn into the drama as the story explodes along with the cigarette boat when Gunter dares to venture out for a boat ride to Bomb Island on the 50,000 acres Lake Murray on the night of an impending hurricane. His drowning is dubious, as no body floats to the surface. The wife trusts in God and believes that he is alive. When he reappears later in the Soviet Union he invites his wife to join him as he works toward an assignment involving the elimination of the American president, as the Soviet country believes the President of the United States and his democratic ideals stand in the way of progress for the Soviet Union. He must die, as the current leadership in America is an affront for growth of the new Russia. Set during the Cold War in the late 1980s, this novel follows Bootsie and Gunter as they struggle with separation during difficult times in their own marriage. Bootsie grows spiritually through the unexplained meeting of strangers who appear to her as angels, and through drawing on her own strengths when alone. Ultimately, after many twists and turns of the story, the couple realizes that God is the only help for the frailty of their lives, and each makes plans to rebuild his or her life around their new beliefs. However, will this turn out to be the happy conclusion? One can only discover this knowledge through reading the book. Another friend in my writer’s group is Edith Hawkins. Like Jackie and me, she is a Boutique of Quality Books author. Not only is she a talented writer, but she is a wonderful gardener. We explored an orchid growers facility together, and I learned about these exotic plants. Edith’s orchids survive and flourish. Mine didn’t make it. Edith has written a wonderful children’s book about the adventures of Kate and JR. Here’s a bit about Edith and her story. As a retired medical laboratory technologist, Edith Hawkins is pursuing her love of photography, gardening and writing children’s stories. Her first book entitled “Summer Adventures with Kate and JR” was released by BQB Publishing in May 2013. Edith has enjoyed sharing stories from the book with school age children at local elementary schools. She also enjoyed meeting people of all ages as she sold the book along with greeting cards made from her photo collection of flowers, butterflies, beach sunrises, Canadian geese on the lake, and anything nature has to offer during the summer farmers market. Edith is a member of the Chapin Writers Group, the Newberry Master Gardener Association, and Macedonia Lutheran Church where she teaches the four and five year old kindergarten class. Do you like to play with friends in your backyard? Go on a vacation with your parents to the beach? Visit and spend time with your grandparents? Kate and JR do! Share in their adventures, as Kate the older sister and JR the younger brother find that learning new things from adults can be fun. That being patient is hard work. But, the end results are worth the wait. Summer Adventures with Kate & JR is a collection of stories to be shared by children, parents, grandparents, aunts and uncles. The stories relate the special bond that forms when a garden is planted, a handmade toy car takes shape, scrapes of material turn into a beautiful quilt, fish are caught, the beach is a great place for a vacation, and just a simple walk in the woods can be exciting. This entry was posted in Catherine's Cross, The Cast Net and tagged South Carolina Book Festival, Where Writer's Win by milliewest. Bookmark the permalink.